MOUNTAIN VIEW – Sept. 20, 2016 – Atypical Games today announced that Infinite Tanks, the latest military simulator from the studio behind Sky Gamblers and Battle Supremacy, is coming soon to iOS, macOS, and tvOS. Featuring breathtaking tank-on-tank combat driven by a unique card-driven tank customization system and a wide breadth of custom game modes, Infinite Tanks will be available for $4.99. Infinite Tanks fortifies the combat sim genre with limitless personalization in the form of a unique card-driven customization system. Players can mix and match individual tank parts to design their vehicle from the inside out, with cards for everything from engines and bodies to turrets, mines and rocket launchers. 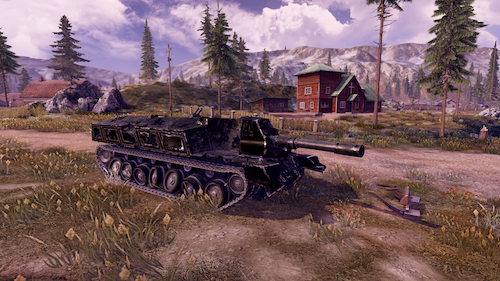 The result is a vehicle for every imaginable playstyle, be it a quick, sleek assault vehicle or a powerhouse bruiser. Atypical Games delivers the graphical fidelity that they are famous for across a variety of vivid, visually stunning environments. Alone or with friends, players’ tanks will trundle across arid, sun-bleached deserts and lush, verdant forest, across rushing rivers and through towering cities. All in-game settings also feature hyper-realistic dynamic weather patterns (down to the sun crossing the sky as time passes) rendered in crystal clarity. 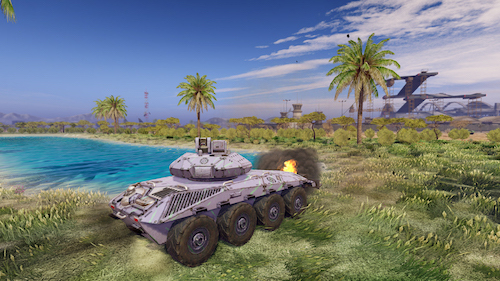 In Infinite Tanks’ numerous online multiplayer modes, players can organize themselves into brigades and take up arms with their comrades in dynamic platoons to skirmish on a colossal scale. Lone warriors who prefer to go it alone can enjoy these modes offline, or play through the sweeping single player campaign for a more cohesive combat experience. Get a closer look at the military mayhem at https://youtu.be/cW-EFLqTUL0. Founded by a group of passionate video game developers, Atypical Games is a California-based company with a fresh take on publishing. Bringing the focus back to the player’s experience and the true values of game design, Atypical promises to bring to the public games of the highest quality and great value. Atypical’s developers are the makers of all Sky Gamblers™ and Battle Supremacy™ titles and are considered the premier maker of combat flight games for mobile devices.